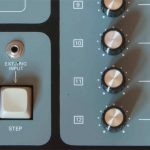 Overview This module is based on a Dave Rossum filter design that never made it into the E-mu Systems analog modular – a SSM2040 Low Pass VCF. The stock modular filter was a clean transistor ladder design dating from 1972 which Dave has a passion for. 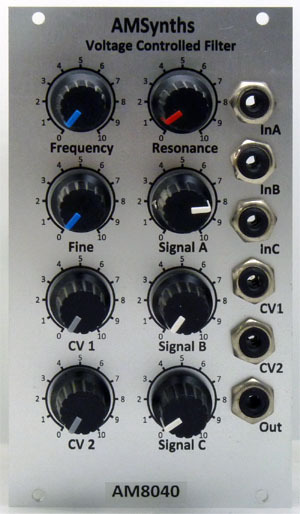 Recently Dave issued a revised version of this filter in Euro Rack as the Evolution variable character ladder filter. 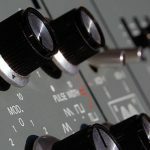 The modular OTA based HPF module was transitioned to use the SSM2040 in 1978 but the transistor LPF escaped the change as Dave liked the sound. 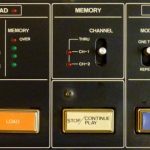 I have filled in some history by taking Dave’s design for the SSM Voice Card and the original E-mu Systems Audity and produced a low pass 24dB VCF based on the SSM2040. 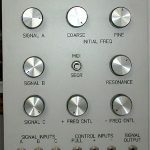 I initially built this filter into my replica Emu Systems modular as the AM2100 with a 4U panel. 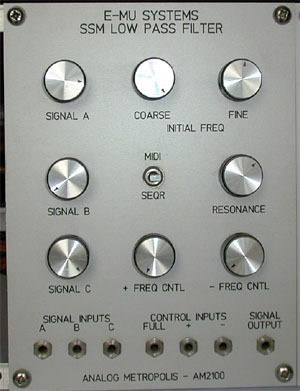 I then created a second version for FracRac and then Euro Rack as the AM8040. AM8040 Module The filter design is taken straight out of the SSM application notes, and is as used in the SSM Voice Card and awesome Audity. The SSM2040 is joined by an OP177 Op Amp on CV summing duties and a couple of OPA134 Op Amps to buffer the signals up and down in level. The chip is temperature compensated with a 3600 ppm 1k PTC resistor, as the chip will oscillate quite nicely at high Q settings. Outcomes The original AM2100 was built in summer 2005, with the AM8040 version arriving in March 2008 and was sold as an unpopulated PCB for the next few years. 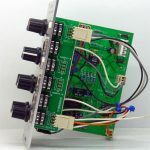 The filter design was also verified with the HM2040 hybrid chip (details are here), which provides an alternative to the very hard to find and expensive SSM2040. 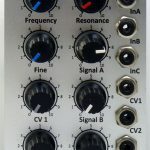 The filter does sound very good, and I have retained an AM8040 with SSM2040 in my Filter Bank, as I personally prefer the circuit with the SSM2040 chip rather than the HM2040. The PCB has been withdrawn from production, until someone re-manufacturers the SSM 2040 chips, hopefully soon!